Writer Maurice Gee’s experiences growing up in West Auckland during World War II were the basis for this home front drama expertly realised by the producer/director team of Ginette McDonald and Peter Sharp. Twelve-year-old Rex Pascoe (Milan Borich — future singer in the band Pluto) is a war-obsessed schoolboy worried about his father’s black-market dealings. Meanwhile, American soldiers are making their presence felt but not all of their attitudes are welcome. The locals’ prejudices are about to be tested by the arrival of a GI to stay with Rex’s family. Nominated for a Qantas Media Award, this documentary examines prejudices against Asians in New Zealand, amidst the context of burgeoning immigration (80,000 ethnic Chinese and 20,000 Koreans have arrived in NZ since 1988). Directors John Bates and Manying Ip look back at the history of Asian settlement in Aotearoa, from colonial xenophobia and the poll tax inflicted only on Chinese migrants, through ‘ching chong Chinaman’ abuse, to the present day — where 21st century migrants face struggles with discrimination, language barriers and integrating in their new home. 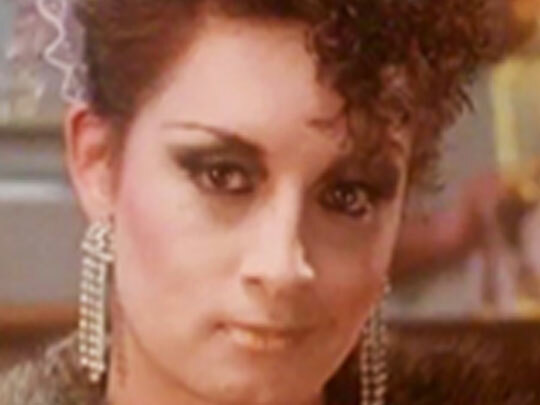 This teleplay from writer Greg McGee is a satire of prejudice and the market economy set in the grey, divisive atmosphere of early 1980s New Zealand. Kate Harcourt plays the proprietor of Dot's Terminal Cafe, a cantankerous spinster who rails against 'bludgers' and 'foreigners'. One rain-soaked Wellington night, her lumpen clientele decide to stage a small but telling uprising — with the help of a dead mouse. It screened in early 1982, following the breakout success of McGee’s confrontational take on Kiwi conformity: rugby player losing-his-religion play Foreskin’s Lament. Kim Hill interviews historian and writer Dr Michael King at the time of the release of his acclaimed book The Penguin History of New Zealand, in 2003 (the year before King's death). King talks about his optimism about Māori and Pākehā relations. He says one of the reasons he writes books is because "information dissolves prejudice". He offers a theory that you can have two indigenous peoples in one country - that Māori are our first people and Pākehā are our second people. Ron Morrison is secretly dreading the ‘dating years’. Rebecca and Kevin have their home, their dog and more love to share, possibly with a baby. Holly Morrison isn’t that bothered with boys yet, but she is determined to pass her South American dance exam. This high-rating documentary examines the physical and emotional challenges of being a ‘little person’— someone living with achondroplasia, the most common cause of dwarfism. Ron, Holly, Rebecca and Kevin are determined to grasp opportunities, although Ron’s conflict of emotions is especially poignant. In 1982 Eve Van Grafhorst contracted HIV via a blood transfusion she received after being born prematurely. 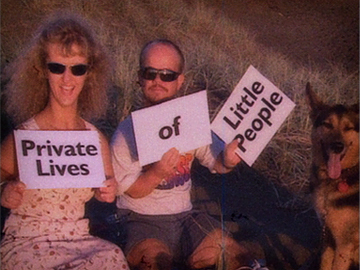 Hysteria about the disease led to Van Grafhorst being cast as a pariah in her Australian community, and in 1986 she and her family fled to Hastings in New Zealand. 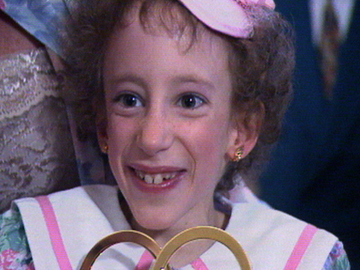 She became an AIDS poster child and helped shift attitudes to the disease. This documentary, which screened on TVNZ eight months after her November 1993 death, tells her story through the eyes of her mother, who is interviewed by broadcaster Paul Holmes (a friend of Eve). "...I mean to say, shouldn't I be in love with a fella or something?" Mandy (Richard Hanna), a man who dresses as a woman, describes his relationship with transsexual Jewel (future politician Georgina Beyer). Jewel's Darl concentrates on the fine details of their relationship: tea and biscuits in bed, Jewel's belief in staying strong against other people's mockery, and Mandy's memories of a troubled childhood. Nominated for multiple NZ Film and Television awards after finally getting a TV slot, Peter Wells' drama was inspired by an Anne Kennedy short story, which won the 1983 Katherine Mansfield Award. Set in rural New Zealand during the 1960s, West of Eden tells the story of two men in love, at odds with the inherent conservatism of their surroundings. Written and produced by Vanessa Riddell, and directed and edited by her husband Alastair Riddell, the film is the couple’s second feature after 2014 romance Broken Hallelujah. Director Riddell had previous artistic success before moving into directing; he had a number one hit as lead singer of band Space Waltz. The film had its premiere on 22 February 2017, as part of the Auckland Pride Festival.